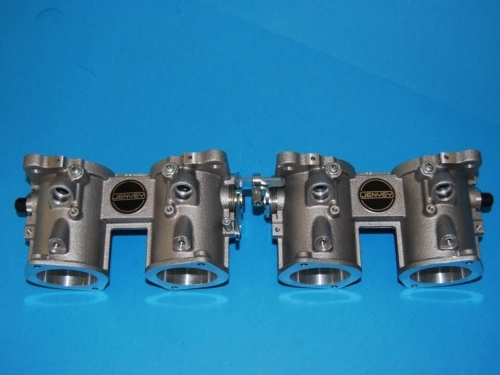 The Jenvey Dynamics TF range of Throttle bodies are a direct replacement for Weber IDF carburettors. 90mm long. Supplied with adjustable interconnecting link 'o' rings (for manifold face) inlet and injector bungs and fuel rail fitting kit.